NBC's Jonathan Allen reports on how the State of the Union showed the growing disconnect between the White House and Congress. 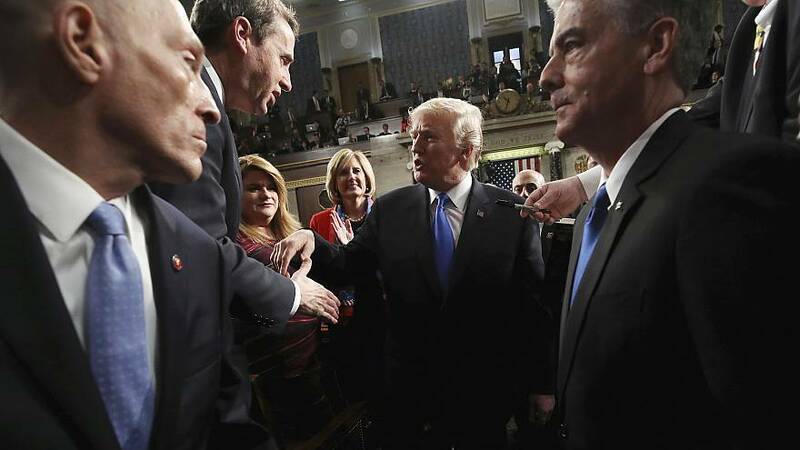 The Washington Post's headline: "In dissonant State of the Union speech, Trump seeks unity while depicting ruin"
And the New York Times called it a speech that "toggled between conciliation and confrontation." A Democratic donor who pivoted to supporting Trump is the latest to come under scrutiny. Lt. Gov. Justin Fairfax's accuser has hired Christine Blasey Ford's legal team. Race and gender lines are making the situation in Virginia a mess. The House Judiciary Committee is set to consider a bill cracking down on unregulated firearm sales. Amy Klobuchar will make her announcement on Sunday. Here's what Kamala Harris had to say about the State of the Union. Here's the Washington Post's big story on Elizabeth Warren apologizing for calling herself Native American. ICYMI: Beto O'Rourke is promising a decision on 2020 by the end of February. Cory Booker is comparing his personal life to Trump's after being asked about his bachelor status.